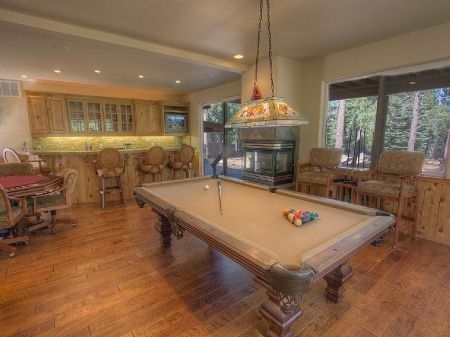 Absolutely Spectacular new home with a beautiful game room and hot tub! 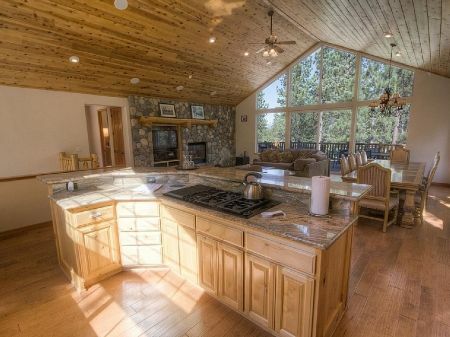 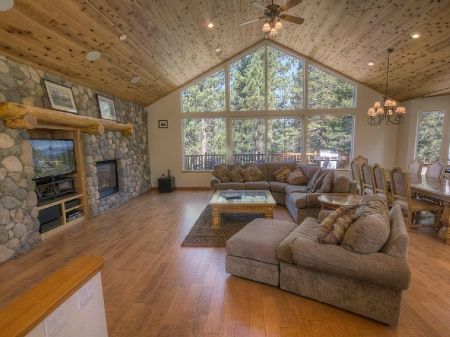 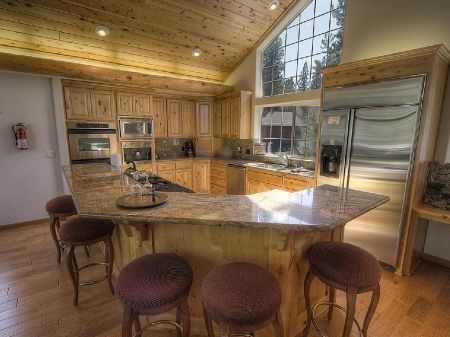 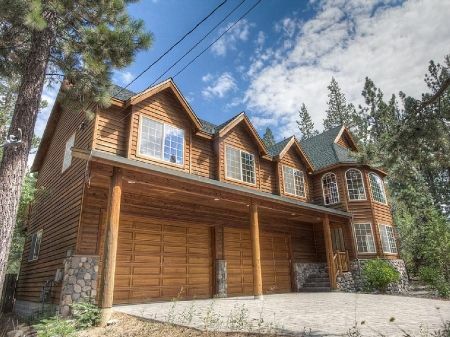 This amazing home is perfect for anytime of year with easy access to beaches, casinos, and is centrally located within 15 minutes of Sierra-at-Tahoe and Heavenly, as well as being only 30 minutes to Kirkwood Ski Resort. 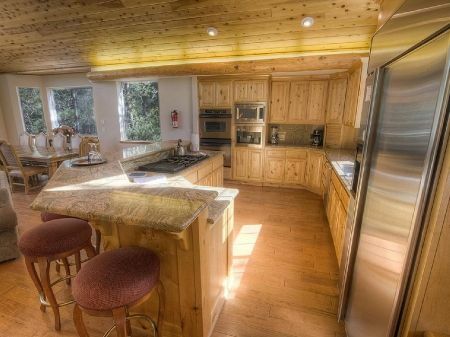 The immaculate home has an enormous game room with card table, pool table, 3 flat screen TV's, a huge wet bar with seating for 6, 2 mini refrigerators and a dishwasher. 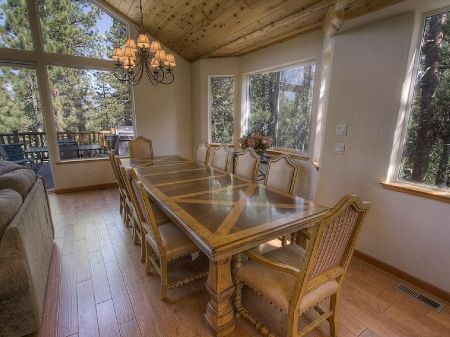 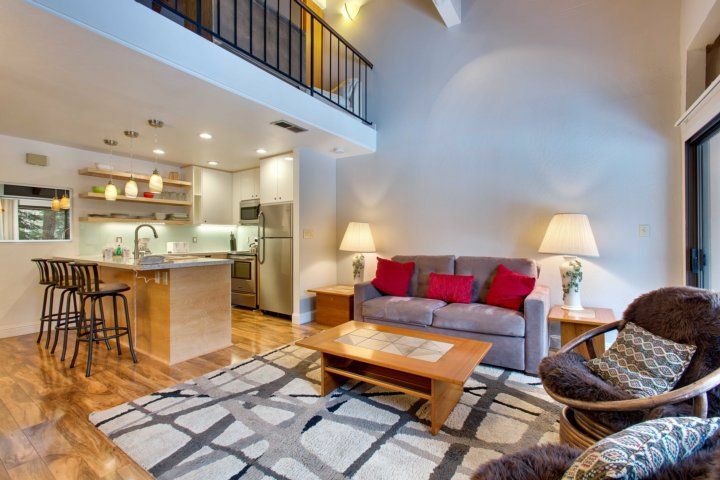 Upstairs you will find a wonderful great room with dining table for 10, bar seating for 4, granite countertops, a built in espresso machine, and hardwood floors. 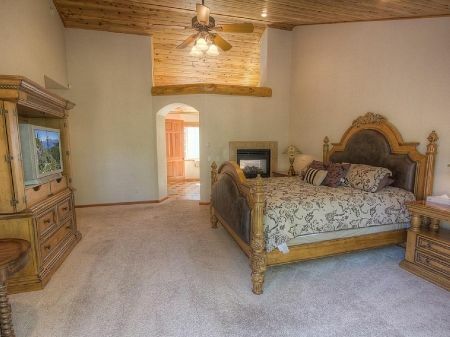 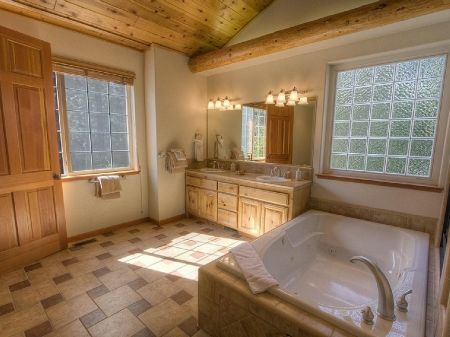 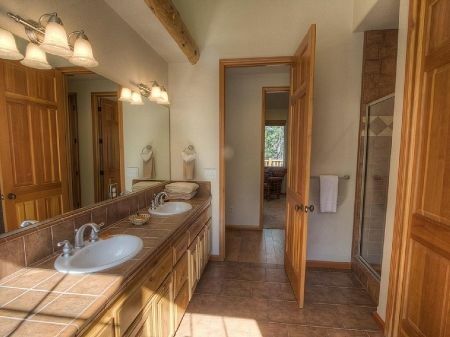 The master suite is also a dream, with a king size bed, 35' TV, gas burning fireplace, a spectacular master bath with huge jacuzzi bathtub, steam shower with dual shower heads, and a gas burning fireplace. 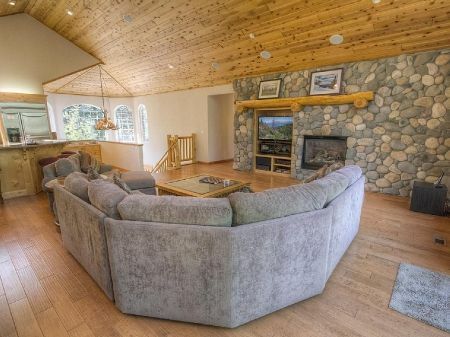 Please contact us, and we can direct you to our website with up-to-date availability calendars, detailed rate quotes, more photos, guest reviews, virtual tours, and access to our secure online booking system.